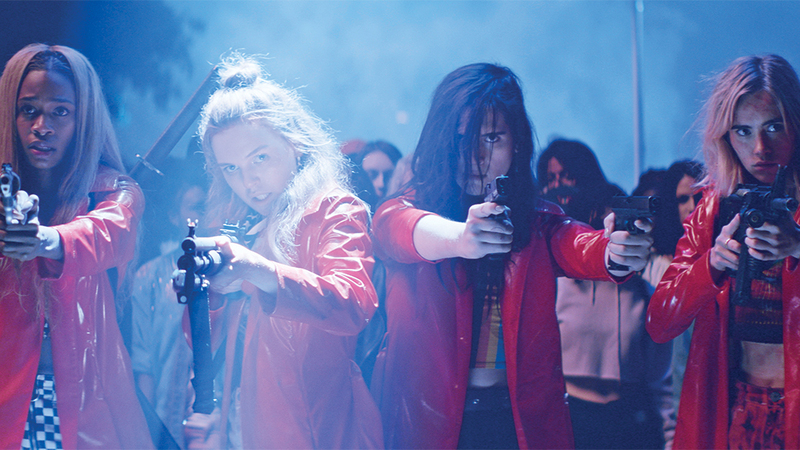 Sam Levinson’s women empowerment to the power-of-four Film Assassination Nation is a violent, visceral, eye opening look at what it’s like to be a female teenager in the modern age with a bloody twist. Coming off the positive word of mouth from Sundance, it is no wonder why people loved this Film. It is an absolute blast and insanely entertaining, the Midnight Madness crowd is sure to devour the Film with absolute delight. The Film centers around Lily (Odessa Young), Hari Nef (Bex), Sarah (Suki Waterhouse) and Em (Abra) as they’re the “it” girls around high school. A hacker slowly starts to leak info about the residents of Salem, and it turns into a witch hunt massacre. Assassination Nation screens on Tuesday September 11, 10:45 PM at the Ryerson and Wednesday, September 12 at 9:45 PM at Scotiabank Theatre.